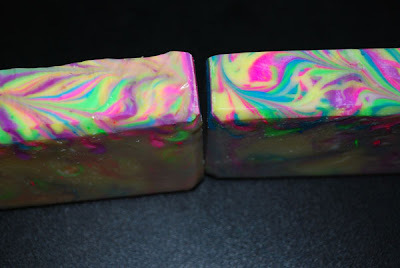 Made a new batch of Summer Medley soap this week. I work really hard to try and make each batch as close to the last one as I can. The one on the left is the new batch and the one on the right is the previous batch. Pretty close right?!?! There is always some turning point in every business where things really start to take off right? So what was the turning point in your business? So been playing around after getting some great tips from the Soapylove book. 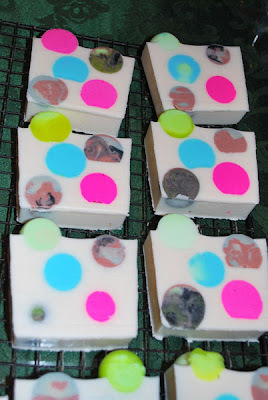 I tried my hand and making my own design for making soap using clay and stamps. Wanted to continue with a modern design style that I had used last week with squares so I tried circles this time. I was playing around with how much of the darker color to leave on it and have some better ideas for the next round. This one is a Lemon Pound Cake/Lemon Drop blend. 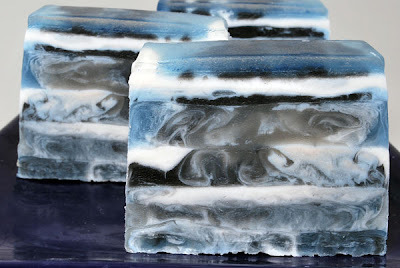 Finally finished my tax paperwork today so now I can get back to making more soap and I will be updating my long neglected main website very soon. 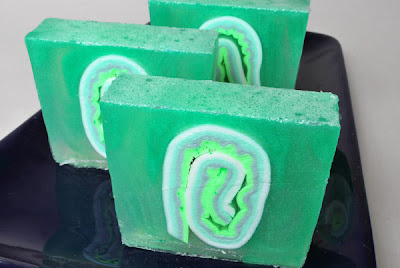 Made a new batch of 7-up type soap and I changed the design from the last round but I did keep the bubbles on top still! 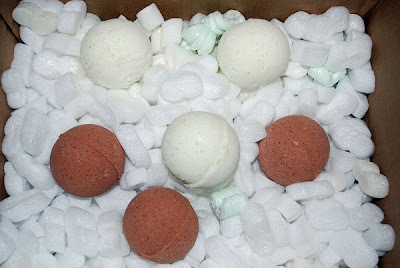 So if you have been following my blog for a long time you know I test lots of things to make and many I never end up selling for one reason or another. 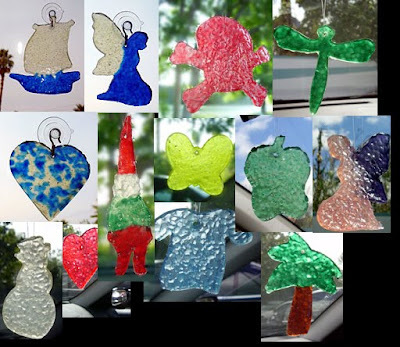 So remember back to these Air Fresheners(see pic) testing days I had a large collection of cookie cutters in different shapes. 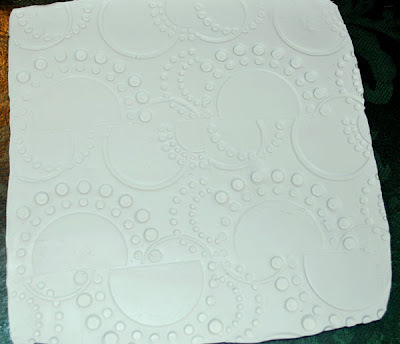 Well I got a new silicone soap mold that is going to allow me to put some of those to use again. I almost sold those cookie cutters all off awhile back because I wasn't using them I am sure glad I didn't. 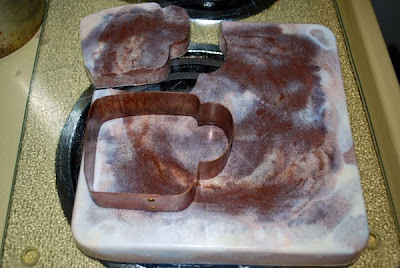 Today I made a batch of Turkish Hazelnut Coffee soap that I then used my coffee mug cookie cutter on. They game out pretty nice and weigh almost 5 oz each! Can't wait to dig around the cookie cutter bag and see what I decide to use next. 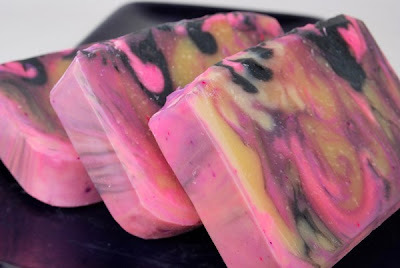 Also posting the Wildberry Zinger Tea ball soap that I made over the weekend. Need to get the photo area up and get some good pictures of those still. 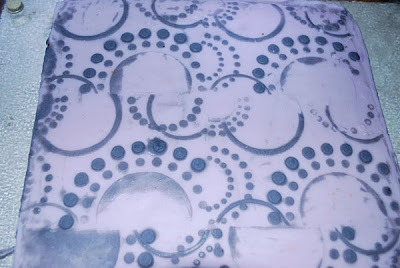 I have 2 new soap molds coming in the next day or so then I will be working on some new designs and scents. I am trying to keep working on using up all the fragrance oils I have on hand.